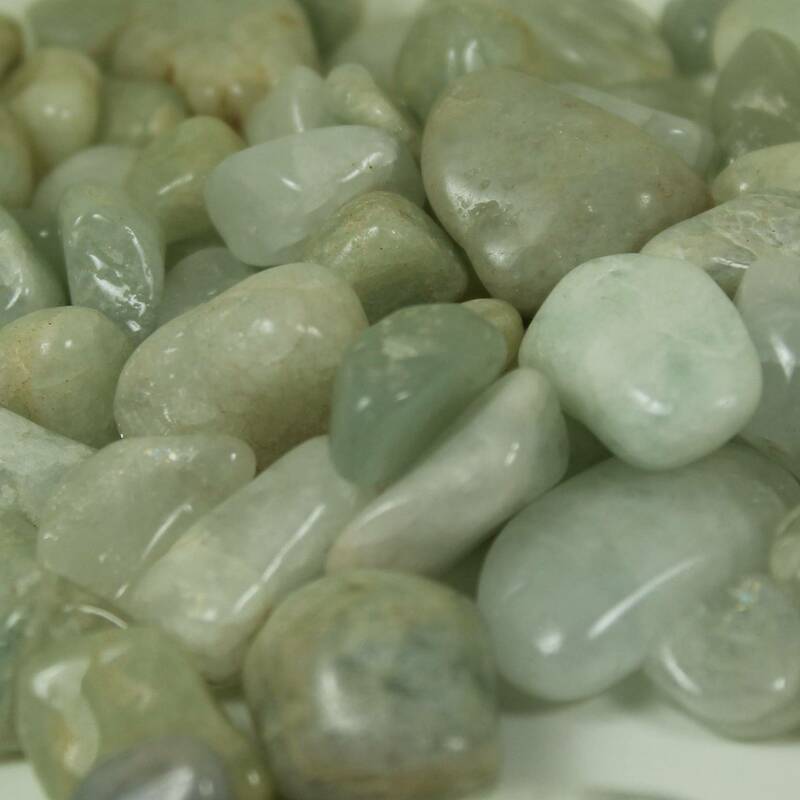 Tumbled Aquamarine pieces, available in two quality grades. 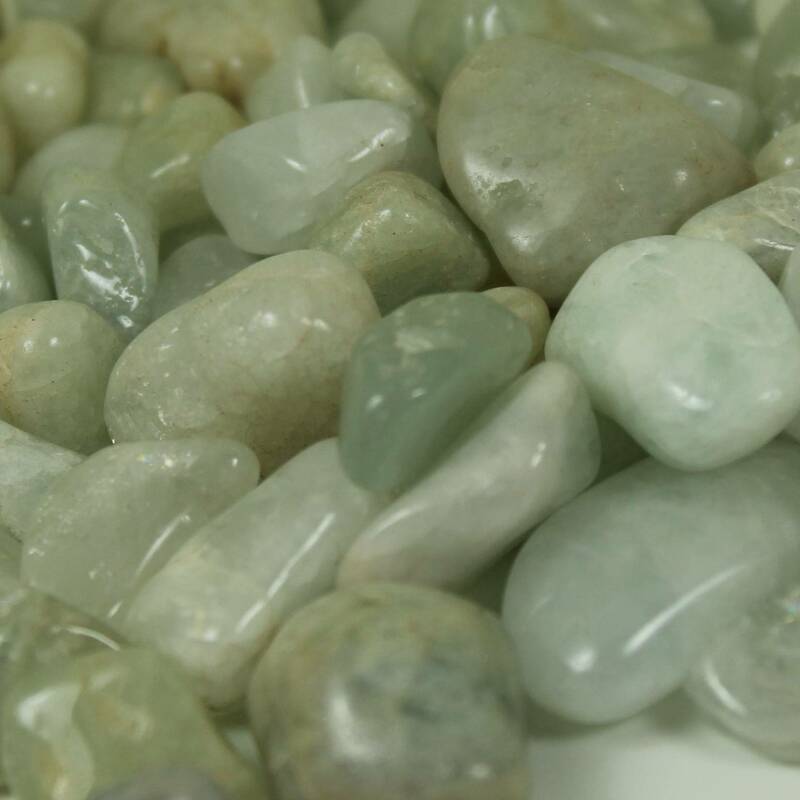 Gorgeous tumbled Aquamarine pieces, sold in a two quality grades. These stones will make an excellent decorative stone in a bowl or a small vase. They are also suitable as fish tank, vivarium, terrarium, or aquarium gravel. 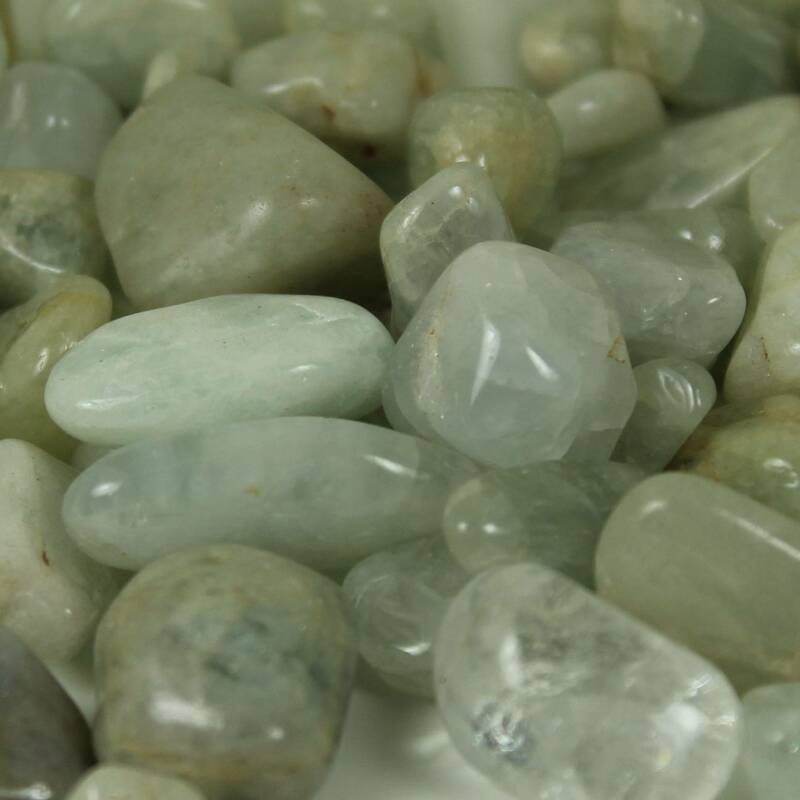 These tumblestones are not the best grade of Aquamarine, of course – generally better grades are faceted, or cut en cabochon. These stones are generally not clear, and may have some inclusions. The higher grade pieces are nicer, but obviously, are not cutting grade. We don’t just sell Aquamarine – we sell hundreds of varieties of tumblestones. For a more information about our Aquamarine products, check out our main Aquamarine page.